Need to get to London in less than four hours? Virgin mogul Sir Richard Branson is one step to closer to bringing the next generation of Concorde-style jet engines to the masses– or at least travelers who can afford a $5,000 ticket. 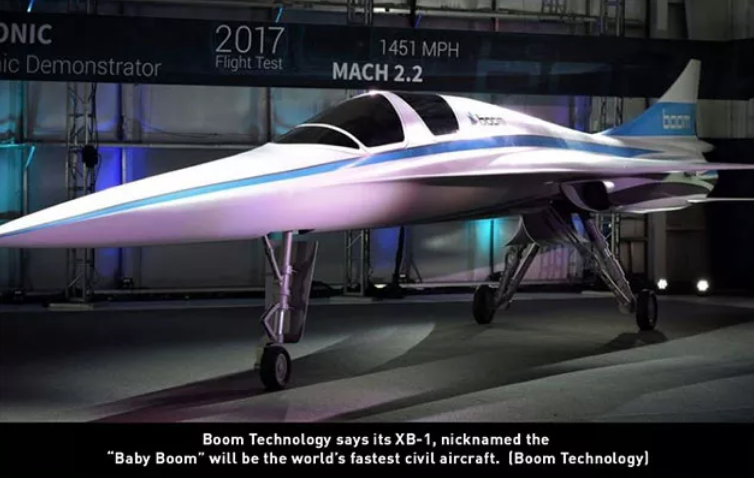 On Tuesday, Branson and Denver-based Boom Technology unveiled a new prototype for a supersonic passenger jet that can take passengers from New York to London in just 3.5 hours, reports The Guardian. “I have long been passionate about aerospace innovation and the development of high-speed commercial flights,” Branson said Tuesday at the prototype’s unveiling ceremony. Blake Scholl, Boom’s founder and CEO (who happens to be a former pilot and Amazon.com executive) is ready to bring supersonic jet travel back into the mainstream. Test flights will begin next year in southern California, Scholl said, with plans to launch the first commercial departures in 2023. he also said he’s confident that these flights will be different than the Concorde due to advances in technology and lighter materials. The company plans on fabricating the planes with lightweight carbon fiber composites– which it says makes it a quieter and more fuel efficient jet. The XB-1, nicknamed the “Baby Boom,” has a cruising speed of Mach 2.2– 1,451 miles per hour– which is 10 percent faster than the Concorde’s previous speed of Mach 2. It’s also 2.6-times faster than the average commercial airliner. At $5,000, tickets on the Baby Boom jet would cost “about the same as tickets in business class,” Scholl says. The Baby Boom will have around 50 seats, whereas the Concorde had 92 to 128. Boom says it plans to initially fly from London to New York, San Francisco to Tokyo and Los Angeles to Sydney. The Concorde, a British-French supersonic jet operated commercially from 1976 to 2003.